Rubber-backed curtains are good insulation because they help block heat on excessively warm days and cold drafts from inefficient windows. These curtains also keep bedrooms dark if someone in the house needs to sleep during the day or if you want to block out streetlights. Like any other window covering, rubber-backed curtains pick up dust and dirt over time. Washing rubber-backed curtains at home is quick and easy. Before proceeding with any cleaning methods, check to make sure your curtains do not have a tag specifying "dry clean only." If they do, you will probably damage them by washing them at home. Thoroughly inspect your curtain backs to determine the condition of the rubber. If your curtains are like new or in very good shape, wash them in a washing machine. If the rubber is starting to come loose, crumble or is brittle, it may break off and clog your washing machine's hose and pump. Wash curtains in this condition by hand. 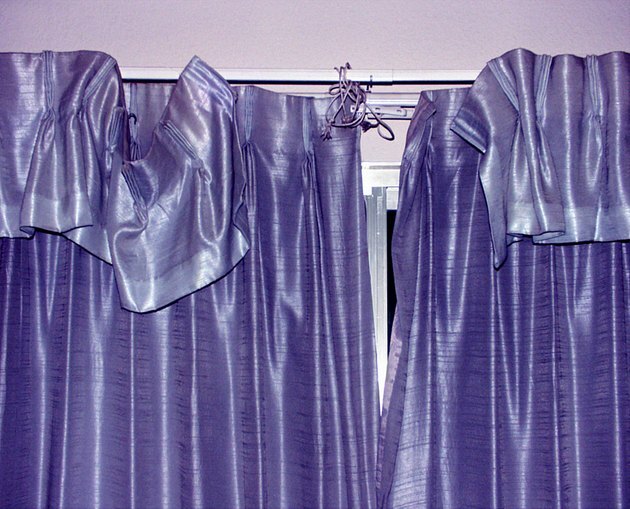 For rubber-backed curtains that can be washed in your machine, use cold water for both washing and rinsing. Wash them on the gentle cycle, and add mild detergent with no laundry boosters or bleach. A front-loading machine is best, because the agitator in the middle of other washing machines is more likely to chip away at the rubber. Wash your curtains separately from other items. If you've decided it's best not to put your rubber-backed curtains in a washing machine, you can wash them by hand in a couple of different ways. Hang them outside and saturate them with a garden hose, sponge them down with a soapy sponge and then rinse. Or wash them gently in a laundry tub or even in your bathtub with a mild detergent. Immediately after washing, hang your curtains outside to dry, or in your bathroom or shower area, or on a line in your basement or laundry room. If you let them dry out in your washing machine, the rubber may stick together and be difficult to separate. Don't put your rubber-backed curtains in your dryer, because dryer heat can damage or even melt the rubber. 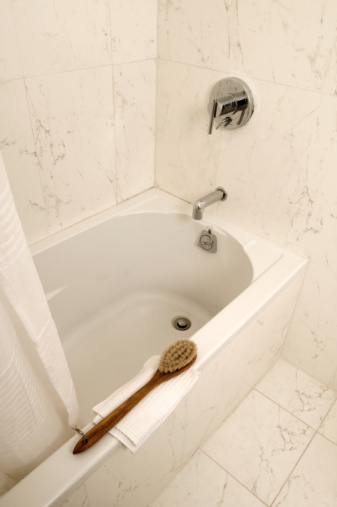 How do I Clean Polyester Shower Curtains?